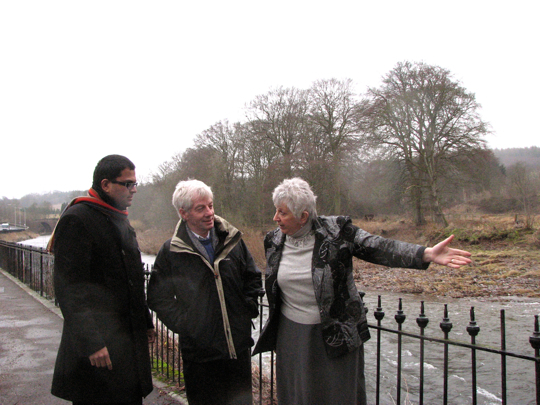 I met with Brechin Cllr Ruth Leslie-Melville and Cllr David May, convener of Infrastructure Services, to discuss the flooding in Brechin and the role the council has played so far to alleviate the problems. It is no surprise that Brechin residents are alarmed by the threat of flooding. It is clear that the council have done what they can from their roads budget, but they do not have the resources to fund what is now a £13 million project. Furthermore, the removal of the dedicated government grants has thrown plans for flood protection schemes into complete disarray. Adding to the confusion is the phased introduction of the new Flood Risk Management Act which changes local authorities’ responsibilities and powers. Surely the SNP government cannot expect councils like Angus to meet such significant development and delivery costs from local budgets. I back Cllr May’s call on the Scottish Government to fund the schemes in Brechin and across Angus to support local residents and businesses. It is surely obvious to the SNP Government that flooding is a national issue that needs national funding.